Ever since I have chosen this career, I have this feeling of weight on my shoulder every time I am at work. There’s always something around my neck. It’s not that I feel like Atlas, the Titan in Greek mythology who was condemned to hold up the sky for eternity. No, nothing like carrying the world on my shoulder. I know this profession can be stressful. And in fact it is always in the top 10 of most stressful jobs in the world. Though it may not be as much stress as police officers, fire fighters, and enlisted military personnel. On the other hand, at least our profession is handsomely compensated. I agree though that the salary for police officers, fire fighters and the military should be increased, for the services they provide and the risks they take just to perform their duties. But this weight on my shoulder and this feeling of something hanging around my neck could be a badge of pride as well. A symbol of our profession if you will. Come to think of it, there may be other ways to bear this, but this is the easiest way to carry this load. That is around our neck. Thus I would always carry this weight on my shoulder, perhaps until I change career or until I retire. If you’re wondering what is this weight on my shoulder? 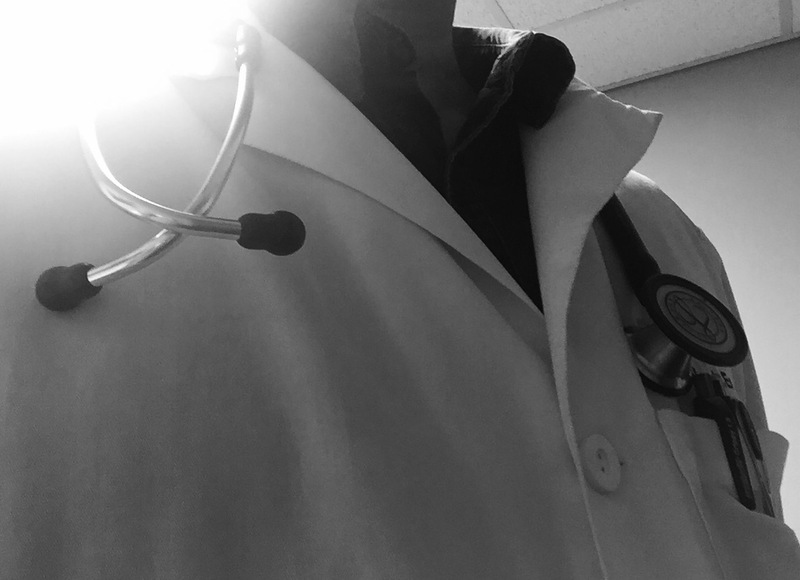 I am just pertaining to the stethoscope that I always carry around my neck when I am working. Were you thinking of the load of responsibility that we are burdened with? Well, that too. Especially when we’re in charge of the ICU. By the way a stethoscope only weighs 6 ounces, which is not even half a pound. Unlike the taho vendor in the Philippines who has to carry that enormous weight on their shoulders as they go through streets after streets, just to make a living. I really have nothing to complain about.